Following the westerly passage of a vigorous low pressure system on Saturday April 6th (with heavy rain and occasionally moderate to strong winds) a day spent birding several of Busan’s better birding sites searching for spring migrants with minds also turning towards next month’s Birdathon… In conditions that improved from cold and cloudy (with a minimum of 5C at dawn) to pleasantly warm (15C with largely clear skies and little wind), the day started at the south-end of Igidae, included Taejongdae and several stops around the Nakdong Estuary, and finished at Daejo “Eco-park” on the banks of the Nakdong River In total, despite crowds of people and continuing habitat degradation, an impressive (and most enjoyable!) 101 species were logged with several additional species (e.g. Asian Stubtail, Sakhalin/Pale-legged Leaf Warbler and Japanese Wagtail) likely heard but too poorly for a definitive id. 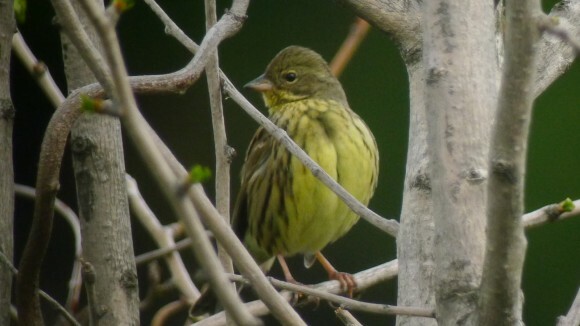 At SK View (Igidae) the first of the day’s Hawfinch and Black-faced Bunting were heard, with best being 2+ singing White’s Thrush and a single Pacific Swift – the latter species also seen in three different areas during the day with a maximum of 10 together at Taejongdae later in the morning. At Taejongdae, starting in what remains of the allotments and reed outside of the park, 3+ Grey Wagtail, three personata Black-faced Bunting seen together, the personal first Stejneger’s Stonechat of the spring (with at least five here, and perhaps up to 8 together at the Nakdong later in the day), four Red-billed Starling and a flyover Grey-faced Buzzard were the obvious highlights. 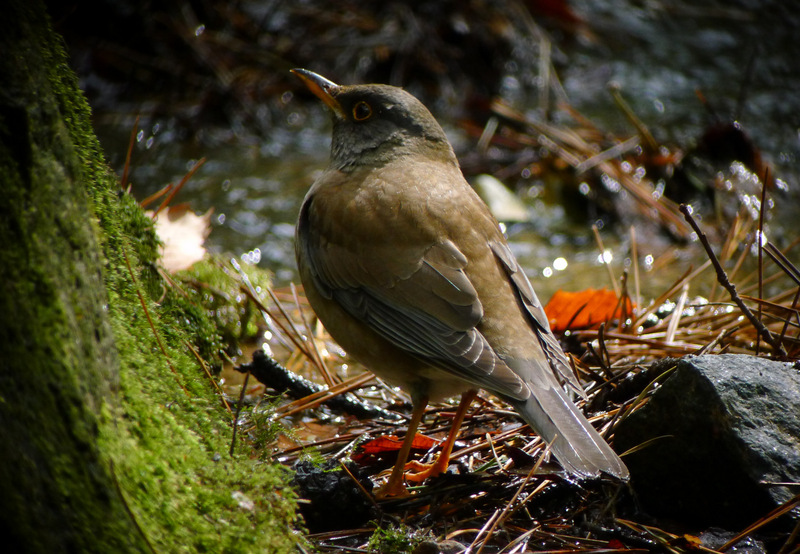 A check of the main gully in Taejongdae itself proved disappointing (with best being prolonged views of a feeding Pale Thrush). However, the woodland around and close to the temple was much more birdy with most numerous species being Goldcrest (probably 70+), several of which had crown feathers erected and appeared to be giving a prolonged agitated warble containing several notes strongly reminiscent of Pallas’s Leaf and other species. Further species of note here included a White-backed Woodpecker, a single Red-flanked Bluetail and three Eurasian Bullfinch – with best of all the personal first Blue-and-White Flycatcher, Eastern Crowned Warbler and Siberian Blue Robin of the spring. 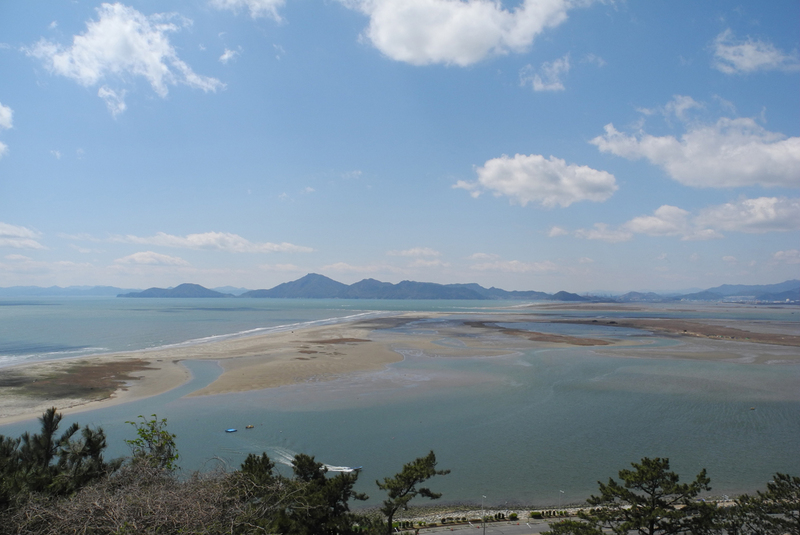 Moving southwest to the Nakdong Estuary, views from Amisan (a decade ago a scenic spot, now dominated by yet another massive new centre, new roads and apartment blocks) clear views over the estuary. Upstream, the Nakdong Estuary barrage (with new sluice gates constructed as part of the Four Rivers project); below exposed tidal-flats and the outer sandy barrier islands used annually by now tiny numbers of Spoon-billed Sandpiper; and 10km to the southwest Gadeok Island – offshore from which Busan City is pushing to construct (yet another) international airport. If built, this island airport will likely wreak further ecological havoc on this still internationally important estuary. Few birds noted here, with best being a single Black-faced Spoonbill, a “Far Eastern Oystercatcher”, five Bar-tailed Godwit and several Far Eastern Curlew. At Ulseuk Island, again no sign of the Pied Avocet that overwintered here, but instead other winter species included a late Whooper Swan, single Rustic Bunting, probably 8+ Little Bunting and 3+ Pallas’s Reed Bunting. Over-winterers that are more regular in the ROK as migrants also included two Japanese Quail, 20 or so Dusky Thrush and a singing Zitting Cisticola (dubbed Far Eastern Cisticola by Birds Korea, as the distinctive brunniceps both looks and sounds rather different from more western taxa and appears to respond to playback only of other brunniceps and not to recordings of vocalisations made in Europe). More obviously spring migrants included 5-7 Garganey (including two males), 40+ Barn Swallow and an early Eastern Yellow Wagtail. The last stop in the estuary was at Miyoenji, where best were four Eurasian Spoonbill , a Common Greenshank, seven Great Knot (the personal first of the year), and 28 Little Ringed Plover in one group (with >40 recorded in total during the day). Moving upriver, the last hour of daylight was spent at Daejo Eco-park – carved out of formerly extensive reed-beds and riparian habitat as part of the extremely poorly-advised Four Rivers project. Most conspicuous here was a flock of Barn Swallow (with probably 100+ present), with further species of note a single Japanese Quail, c20 Falcated Duck and a male Merlin (this last being a rather surprising personal first of the year for NM at least). View across estuary towards Gadeok proposed airport site, April 7, 2013. Image © Nial Moores. Far Eastern Cisticola Cisticola juncidis. 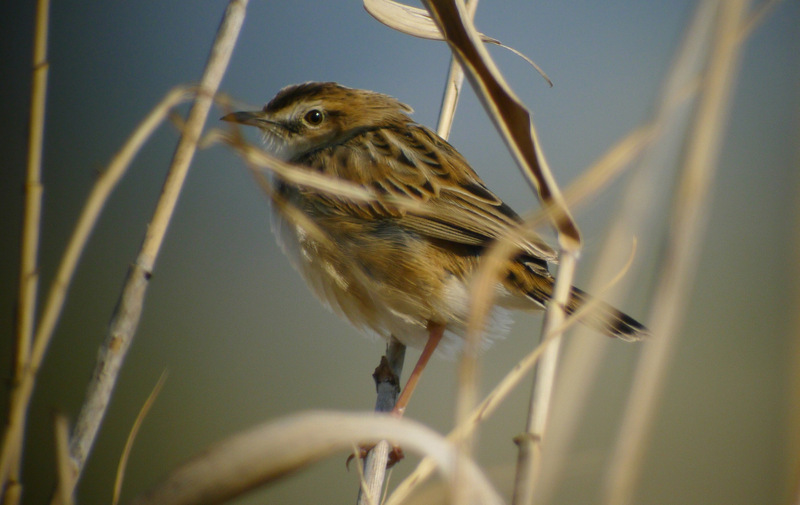 Digiscoped Video © Jason Loghry. 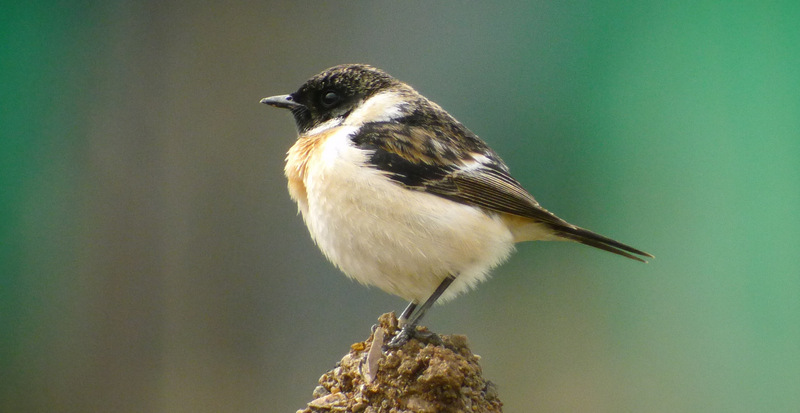 Stejneger’s Stonechat Saxicola stejnegeri. Image © Jason Loghry. 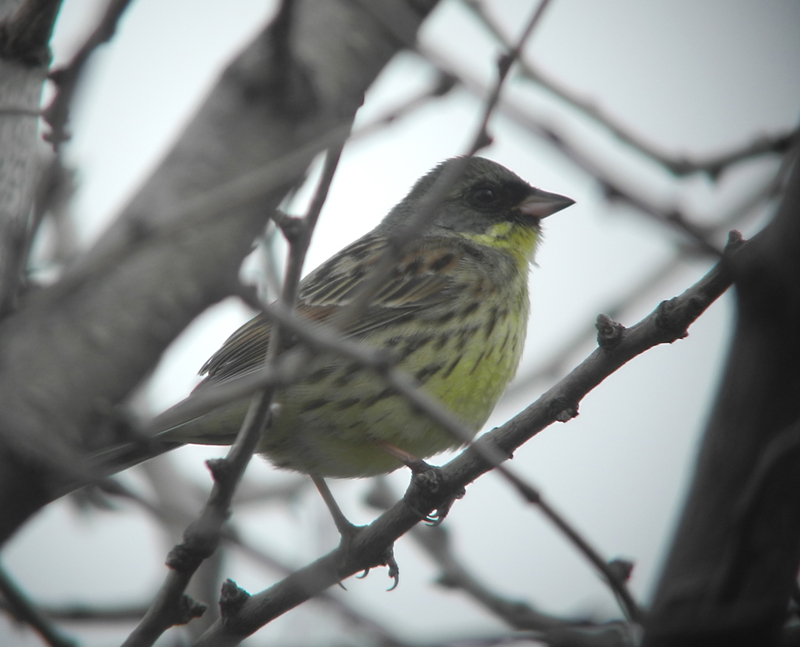 Black-faced Bunting Emberiza spodocehala personata. Image © Nial Moores. Female Black-faced Bunting Emberiza spodocehala personata. Image © Jason Loghry. 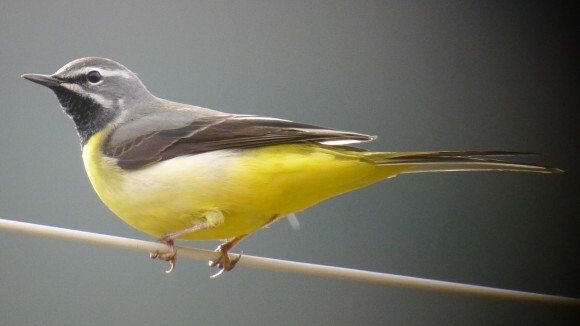 Grey Wagtail Motacilla cinerea. Image © Jason Loghry. Pale Thrush Turdus pallidus. Image © Jason Loghry. 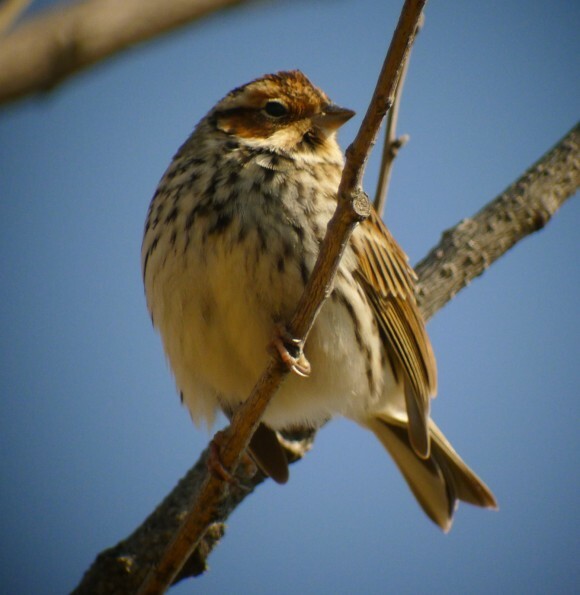 Little Bunting Emberiza pusilla. Image © Jason Loghry. Far Eastern Cisticola Cisticola juncidis. Image © Jason Loghry.